Korea’s hotel scene is welcoming a new breed of players. Offering no-frills rooms and basic guest services at a relatively affordable price, budget hotels are springing up in Seoul’s tourist-heavy neighborhoods of Myeong-dong, Dongdaemun and Gangnam, aiming to cater to price conscious individual travelers and the surging Chinese tourists. With room rates ranging from $70 to $120 a night, this emerging group is fast filling a slack in the industry that has long been dominated by two extremes ― high-end luxury hotels and cheap motels. “Currently, the number of rooms is still short of demand in Korea compared to other countries,” Kazuhiro Hashimoto, an official at Starwood Hotels and Resorts Worldwide’s Japan, Korea and Guam business unit, said by email. “The rapid increase of international travelers and insufficient hotel supply will lead to the new development of mid-market hotels in not only Seoul, but also tier 2 and 3 cities in Korea,” he said. In fact, Korea’s tourism industry is booming, leading to a hike in room demand. The country received a record high number of foreign tourists last year, at over 14 million, with more than 40 percent of them from China. The influx of Chinese tourists is a key reason why international and local hotel chains are racing to open mid-scale hotels. “Chinese tourists have a high demand for low-priced hotels, which is why more companies are opening budget hotels,” said Kim Jang-won an official at the Korea Tourism Organization. Accor Ambassador Group, a joint hospitality company of European hotel group Accor and Korean hotel company Ambassador, is one such chain that has been actively expanding its budget brand ibis in Korea since it first opened ibis Ambassador Gangnam in 2003. 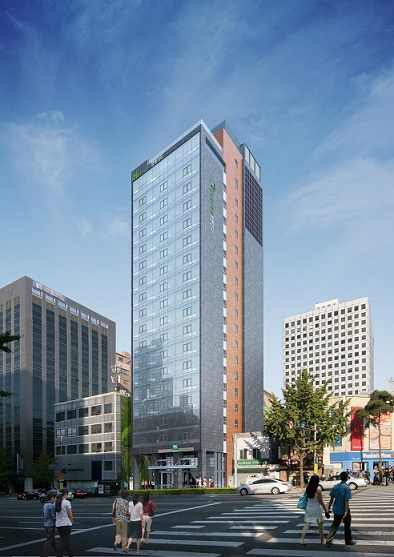 It runs seven ibis hotels in Korea and plans to open the eighth in Myeong-dong in March, in addition to the current ibis Ambassador Seoul Myeongdong. 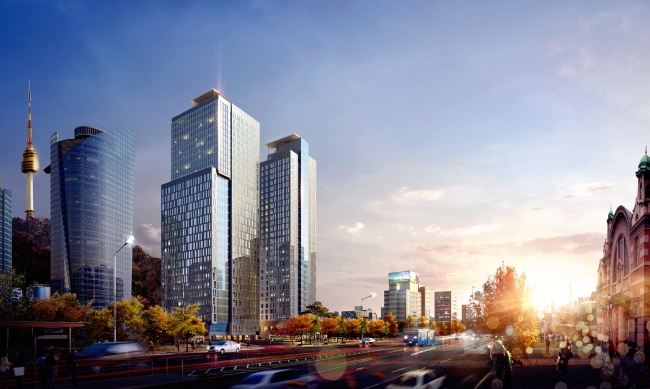 It expects to add four new hotels in the new Yongsan Hotel Complex by 2017. Starwood, which operates seven properties in Korea ― mostly high-end brands ― seeks to ramp up its presence in the mid-market with the planned opening of its 342-room Four Points by Sheraton near Mount Namsan and Seoul Station in May. Chinese travelers are its key target guests. “Starwood anticipates the solid growth of international travelers in 2015 (in Korea). The increase of international visitors will fuel the needs of mid-market hotel brands and Starwood’s mid-market hotel brands,” Hashimoto said. Not to be outdone, local hoteliers are expanding mid-scale hotels too. At the forefront is Lotte Hotel which has been opening its mid-scale City Hotels in Seoul and major provincial cities in the country. It operates five City Hotels in the country and expects to open another one in the industrial city of Ulsan in the first half of this year. 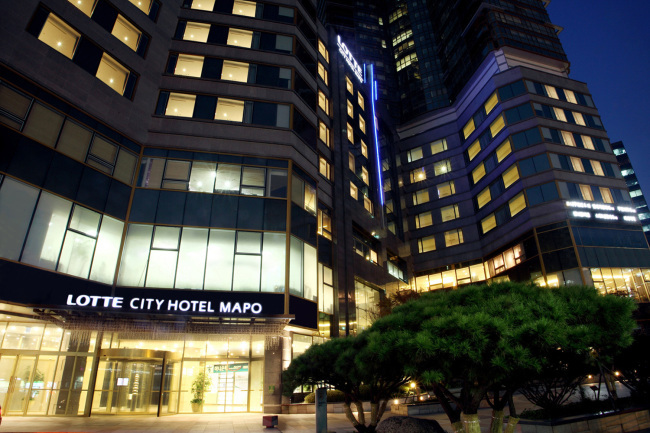 According to the company, Lotte City Hotel Mapo has seen its rooms filled with Japanese and Chinese tourists most of the time since its opening in 2009. At its Jeju hotel, Chinese guests make up 30 percent who are mostly young individual travelers in their 20s and 30s. “There is a great demand for budget economy hotels with the increase in business and leisure travelers to Korea. The expansion of our city hotels has been driven by the country’s lack of decent economy hotels,” said a staff member at Lotte Hotel who declined to give his name. Myeong-dong is expected to be a fierce competing ground among major hotel chains as Lotte Hotel also plans to open its two mid-scale brands ― Lotte City Hotel Myeongdong and Lifestyle Hotel Myeongdong ― in October and December, respectively. This is the second in a series of articles on Korea’s hospitality industry. The third and last will appear next week. ― Ed.